When is it appropriate for scientists to withhold information to scientific communities? To lay communities? Such thorny questions brought folks into the arenas of scientific circles recently when the New York Times reported that two prominent publications, Science and Nature, have agreed to withhold some details about studies on the bird flu virus. Researchers in The Netherlands and the US have been examining the virus called A(H5N1) and were ready to present their results in peer-reviewed journals following a conference presentation of their findings in September. Because the research is sponsored by the National Institutes for Health (NIH), a panel is poised to review articles before their publication. According to the New York Times, the panel reviews–but never censors–articles. In this case, the journals will likely withhold some of the scientific brick-and-mortar about the studies. Turns out the researchers were able to modify the virus so that it becomes more virulent. In other words, they found they could engineer the bug, allowing it to be spread in the air. According to the New York Times, the bird flu strain is passed from bird to human, rather than from human to human. But the scientists adjusted the virus’ structure and found that, in the lab, the bug could be more readily passed from individual to individual (in this case, they used ferrets in their studies). This week the New York Times revisited the issue and noted that this particular strain of bird flu has the potential to harm about half of the hosts it encounters. 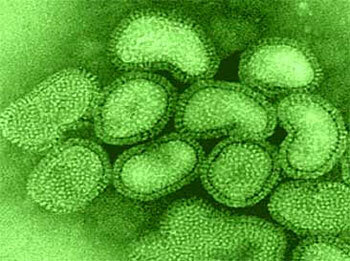 The bird flu [A(H5N1)] is rare, and about 600 people have contracted it since 1997, with half of those folks perishing. That makes the strain a rare risk but good odds for death if you’re infected. That means the altered version of bird flu–if humans respond similarly to ferrets–could spread more rapidly and become a pandemic. So the government officials worried that the research could arm the bad guys with information they would need to create their own versions of the altered flu virus. Thus, NIH recommended to the journal editors they withhold key information that would provide terrorists a template to create a bioterrorist threat. The issue raises a bundle of questions about science and communities, ethics and government oversight, and progress and positivism. Much of my scholarship in science communication is grounded in the ways in which we think about and write about science, particularly in social discourses that link science with cultural mores of Indigenous peoples. Indian tribes have been accused of being anti-science in their pursuit to manage their own cultural and environmental resources. Indeed, witness the landmark case of the Havasupai, who sued Arizona State University after tribal members learned that scientists were conducting tests on their blood, and that the nature of the testing was never disclosed to the tribe. This begs us to consider: What lies at the heart of these issues? At this juncture, I argue that the issues (bird flu and Indian blood) aren’t so much about science: it’s about managing the politics of biology. Who gets to decide if information is withheld? Who gets to decide what types of tests are conducted on our blood, on flu strains, on ancient skeletons? This entry was posted in censorship, ethics, journalism, risk, science, science communication and tagged Indigenous Science, science. Bookmark the permalink.